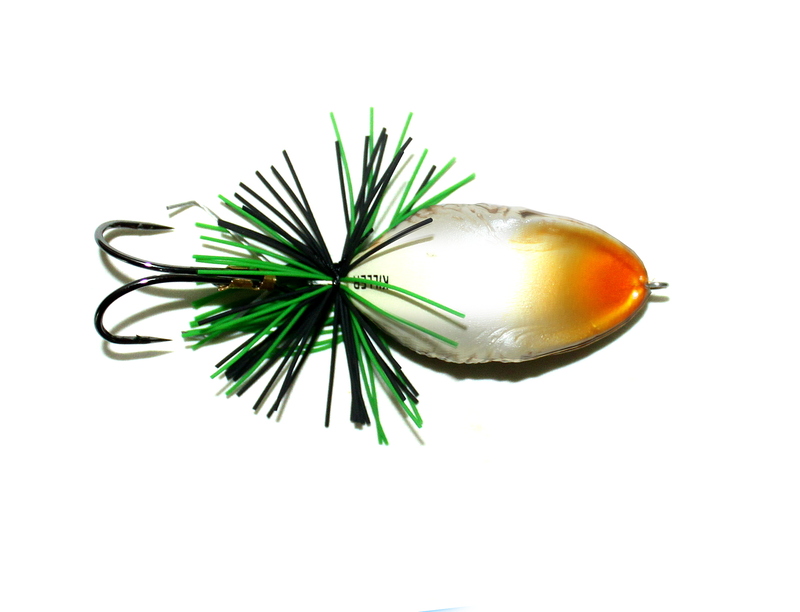 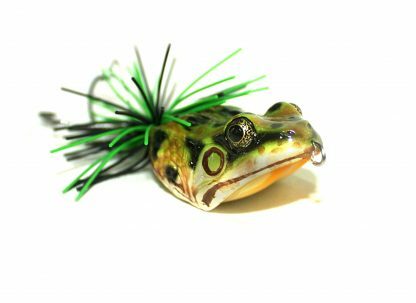 The Killer ‘Walk The Frog’ surface bait is a floating and rattling highly realistic frog imitation lure. The hand-painted details are amazing and make the frogs almost too good to cast. 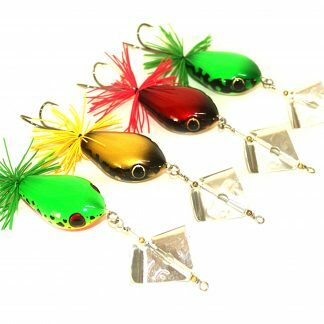 The balanced weight and aerodynamic shape of the lures design makes long casting into thick weeds easy and much fun. 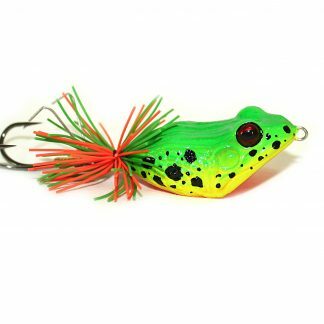 Killer Walk the Frogs can be fished in and around weeds in safety due to the specially designed weed guard which protects the VMC super sharp stainless double hook in almost all situations. 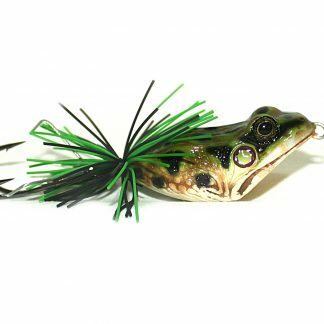 Retrieve the frog with a jerking “Walk the Frog” action to create popping, chugging and splashing which will instantly attract attention from any predator fish in the local area. 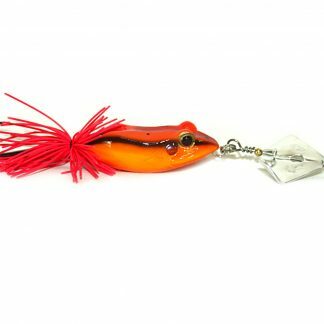 Tie one on, cast out and hold on tight to your rod! We recommend using a 30-40lb mono shock leader with 20-30lb braid or a high strength safety clip tied directly to 30lb quality braided line. 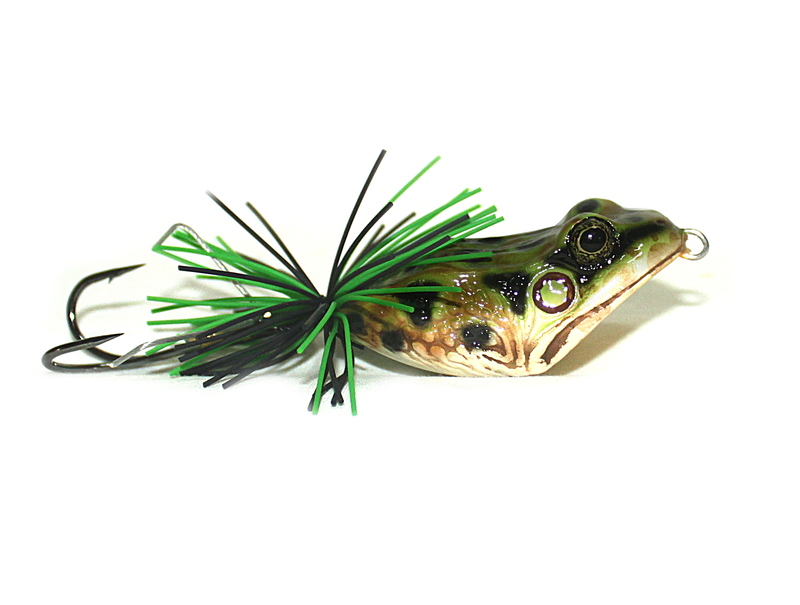 Strikes can be violent and aggressive fish can take the whole frog easily in 1 mouthfull. 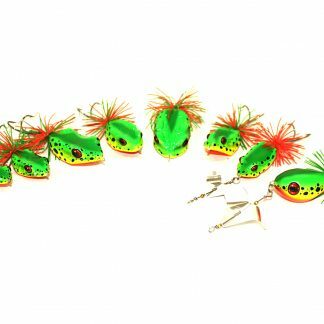 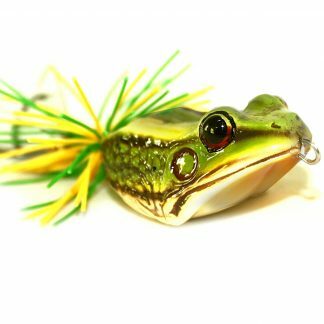 Walk the Frog is so easy to cast you will soon find yourself hitting tighter and tighter spots around snags, weeds and trees – just the kind of places which the biggies hold up. In these circumstances you will be thankful for that strong leader and main line if your frog eventually gets snagged due to a wayward cast.